We re-visit the technique of lost-wax investment castings, which is ironically associated with space-age technology but has been traditionally adapted and perfected over centuries. 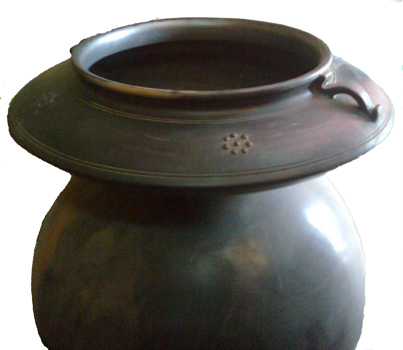 Intricate Yabyum bronze forms from Nepal, Dhokra castings by Adivasis from the Bastar region and bell-metal castings by Moosaris of Kerala are increasingly becoming rare as collectors’ items. 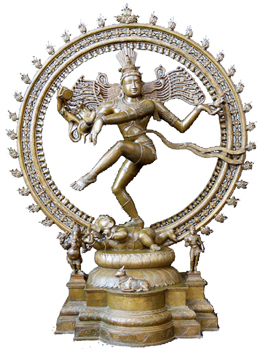 It is fascinating to note that these and several intricate Natarajas, Ganeshas etc., resplendent with decorations and ornaments in such fine detail, are made by tribals living far away from urban industrial civilisation. Will anyone believe that this is the same process as that used by space-age technologists to produce precise parts for prosthetics, hydraulics, weapons, automobiles and yes, spacecraft too? There is evidence going back as far as the 4th Millenium BC, of investment castings during the Han Dynasty in China, Benin Kingdom in Africa, and Aztecs of Mexico. Cross-cultural trade and movement may have contributed to its dissemination. 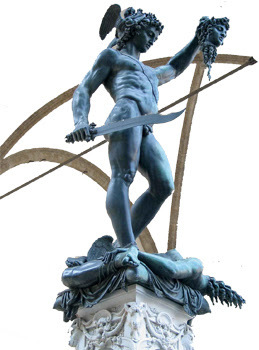 In the West, Renaissance sculptor Benvenuto Cellini cast his masterpiece “Perseus and the head of Medusa” using this process in about 1545. However, investment casting was ignored until the early 20th century, when dentists began to cast inlays and crowns. Perhaps this technique entered the urban Indian Art scene via colonial institutions, apparently in oblivion to the masterly perfection of this technique by tribal craftsmen here, until anthropologists, archaeologists and art historians found evidences of totally indigenous processes along the same lines spread across the sub-continent, from Tibet to Bastar in Chattisgarh, to Kerala. The essence of investment castings lies in the strength property of wax to retain a basic form yet allow the lightest forces, like the touch of a finger to indent its surface and release it cleanly. Wax can be shaped by hand or simple tools into the most intricate form and yet, its surface can be as fine as polish with a blast of hot air or flame of a blow-torch. Besides, wax evaporates cleanly, leaving no traces. Bees wax is the most common, abundant in forests. Another salient feature of this process is in the pre-heated mould cavity, which does not chill the molten metal surface in its contact to form ‘nuclei,’ as happens in other casting processes. 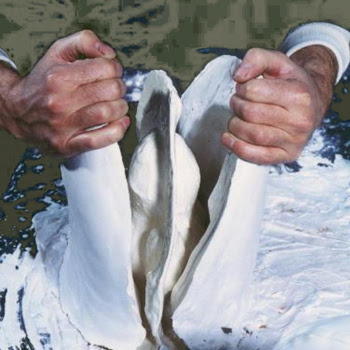 The casting technique involves several iterations. The wax form itself may be cast from a clay or plaster pattern, depending upon the form. A core of brick-mortar and clay along with lime-plaster is also used for making hollow castings. When not cast, the pattern is assembled from wax itself. Here, the main form or torso may be shaped by hand or coil-formed by rolling wax into long and thin strings and winding them over a former. Additional components are separately made, either by shaping the wax strings, by rolling out perfectly flat sheets and cutting ornate profiles or by dunking formers into molten wax. This is a highly delicate operation, akin to plastic surgery since the surfaces and shapes need to be made ‘just so.’ Any chance to stain, dent, scratch and wilt must be prevented. On completing the assembly, another set of touches ensures the requisite finish, though the task is far from over. 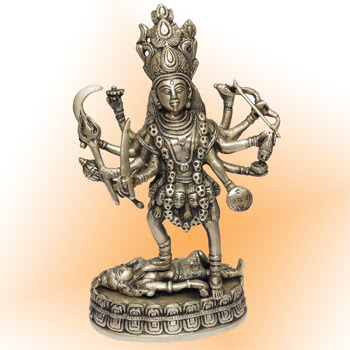 The mould-making process needs to consider the geometry of the statuette and the pouring properties of the metal used. 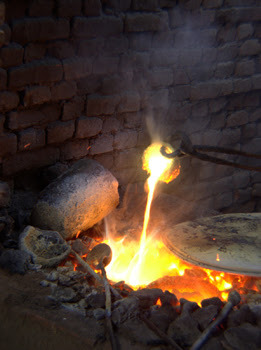 Although the technique is also used for gold pendants and the like, such sculptures are usually cast in bronze or a variant like bell-metal. The orientation of the pattern and method of pouring molten metal also needs consideration. Thus, wax columns are joined to the pattern, to become runners for molten metal to flow in and for risers and vents to displace hot air and gases as the level of molten metal rises. The entire assemblage of pattern, core if any, runners and risers is then placed in a position ready for pouring of molten and covered with a patent cement-like mixture of brick mortar or pulverized burnt clay and lime or plaster, exposing only the gates to receive metal and gates to release vapour and air. Thus a shell-mould is made. Now for the main casting process: A coal hearth fanned with animal-skin bellows slowly bakes this shell, evaporating the wax, while a crucible containing an adequate quantity of metal is similarly heated to melt the bronze. During this time, all wax evaporates, leaving a precise hollow chamber. A pair of iron togs is used to lift the crucible and pour metal. Any crust in the surface is tapped. In modernized processes, potassium metal or de-gassing compound is tossed into the crucible at this stage. This also removes any dissolved oxygen from the metal. The crucible is then carefully maneuvered so as to pour molten directly into the gate of the shell-mould. The rate of flow should be adequate to fill up the cavity without cooling and yet not as fast as to cause a backlash of air and gases expanding from the ingress of hot metal. Pouring stops when metal is seen rising to the top of the risers and close to the vents. On completion of pouring the metal, the cast is left to cool. This may take as much as 12-14 hours, since the metal and the mould are both at high temperatures. A hot cavity and slow cooling are the next reason for the fine surface properties of the casting. Once cooled, the cast is fettled by slowly chipping off the mortar-mix and after this, chiseling off the runners and riser columns form the casting. This is followed by brush-cleaning or at times, by treatment with a mildly acidic substance to provide luster to the metal. The cast is now a finely finished statuette. We bring you Sushil Sakhuja’s video on the process of lost-wax investment casting. 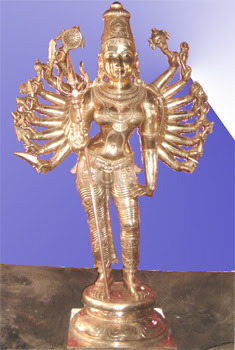 Sakhuja is a Bastar artist and has extensively propagated this technique. Great article. One never talks enough about the technic involved in art. I am always mesmerized when I look at my own bronze/metal collections, not only for the aesthetics but also for the great craftsmanship involved. Posted by Pascal on linkedin Group: ArtCollector.